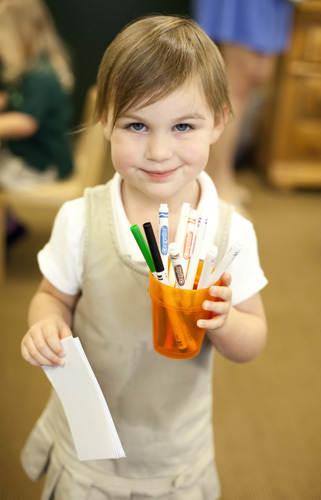 In addition to the Montessori curriculum taught within the classrooms, The Tree House Episcopal Montessori School strives to offer fascinating enrichment lessons. Spirituality is a cornerstone of education at The Tree House Episcopal Montessori School and love is the centerpiece of our spirituality. 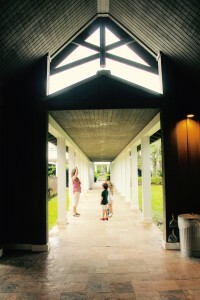 We know that a The Tree House Episcopal Montessori School education does not stop at the threshold of our doors. Our students carry forth their life-long learning and their love for God and one another as they travel throughout their days. True to our Episcopal tradition, The Tree House Episcopal Montessori School is grounded in Christian beliefs yet welcomes students of all faith backgrounds. 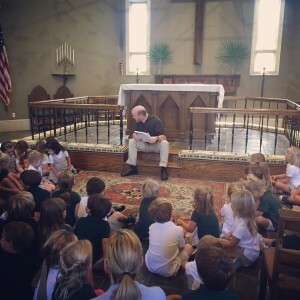 Students and teachers gather weekly to attend chapel. These moments provide welcome shelter from the whirlwind of daily life, offering time to look inward and to focus on what we have done and left undone. They encourage us to think of loved ones and those in need. 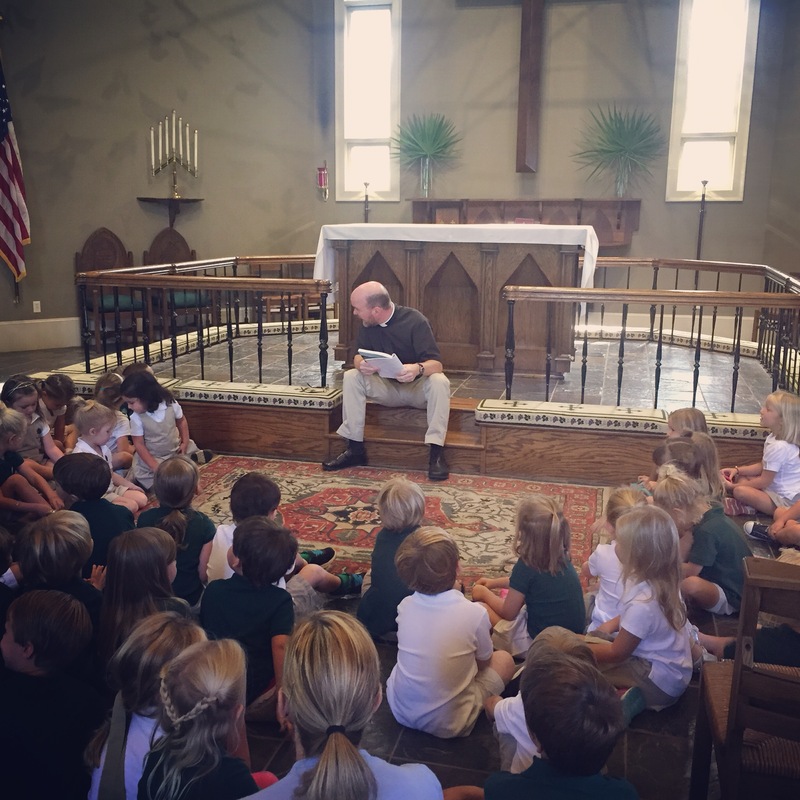 At The Tree House Episcopal Montessori School treating fellow students with dignity and respect is not merely talked about but is lived and taught through in weekly chapel and within the classroom curriculum. At all times The Tree House Episcopal Montessori School seeks to embody authentic Christian qualities of concern for and acceptance of others, compassion, generosity of spirit, and empathy. Our community service program rises from this world view. In all we do, we instill in our students a reverence for humanity and a sense of personal responsibility, that they use their talents now and throughout their lives to serve others and the world in which we live. Music: We love music at the Tree House! Music is more than instruments and voices. It’s more than rhythm and movement. Music is a powerful force that can inspire, create community, and build family bonds. And it can be life-changing to develop our inner music-maker as early as possible. Spanish Lessons: The Tree House Episcopal Montessori School children love to sing Spanish songs, enhance their Spanish vocabulary and learn the history of the this language with weekly lessons from our Spanish teacher. The Primary students have Spanish lessons once a week. The children learn Spanish in relation to the study of language, history, science and geography. Political and physical geography easily lend themselves to the study of Spanish-speaking countries and cultures. Art Lessons: A fundamental part of the Montessori philosophy is “Art is a process not for product.” The goals of our art program are to foster visual awareness, aesthetic appreciation, creative expression, and imaginative thinking. Students learn technical skills while they create unique and personal works of art. They learn the language of visual design (line, shape, color, etc.) to help them develop fluency of expression. Art is also an integral part of the academic program, with projects deigned to enhance classroom studies. With careful planning by the art teacher and classroom teachers, art lessons are developed to coordinate and integrate concepts from the daily classroom lessons. The art program also includes the exposure to and discussion of reproductions of works of art. These activities help students connect their own art making to wider social and historical context. Library: The Tree House Episcopal School library is a place for students to develop academic skills, including the ability to locate, retrieve, evaluate and utilize information. Students become familiar with our beautiful and extensive collection of children’s books and other library materials. Here at The Tree House Episcopal Montessori School, students are taught essential skills in weekly library lessons. Starting at the preschool level, students are taught library basics, such as the parts of a book, the role of the author and illustrator, and the proper care of library materials. Outdoor Education : Outdoor education is an integral part of The Tree House Episcopal School’s curriculum. It encompasses not only opportunities to explore through “going out” trips and field trips, but also the direct experience of the ecology of the child’s bio-region. The outdoor program fosters independence, self-confidence, responsibility and cooperation. It also encourages environmental awareness through adventure. Additionally, have a gardening program that includes growing fruits, vegetables and flowers. The Tree House practices good stewardship by composting and recycling.